A journey through Essex County puts visitors in touch with more than three centuries of American architecture. Stand in the footsteps of accused and accuser in the homes of “bewitched girl” Ann Putnam Jr. and Rebecca Nurse, executed during the witch hysteria that gripped Salem and Danvers in 1692. 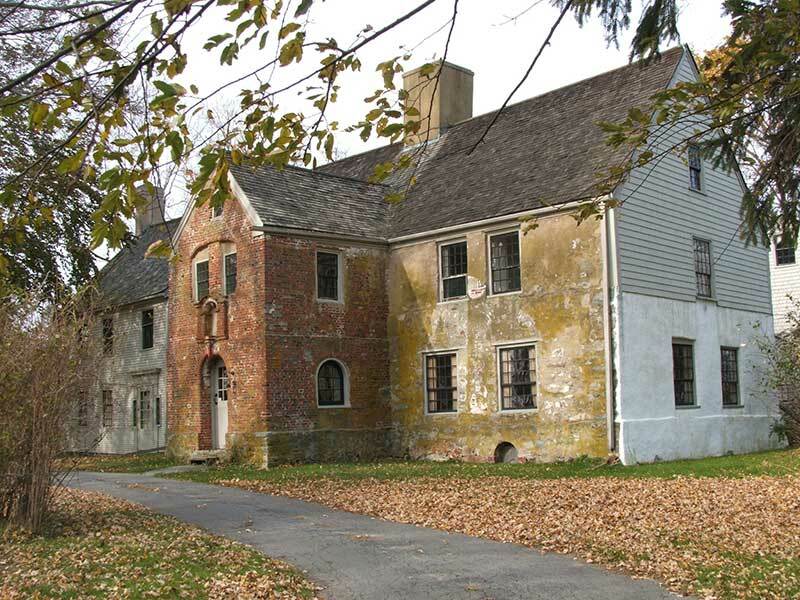 Visit homes built by pivotal figures of the Revolutionary War including Judge Samuel Holten, framer of the Articles of Confederation. 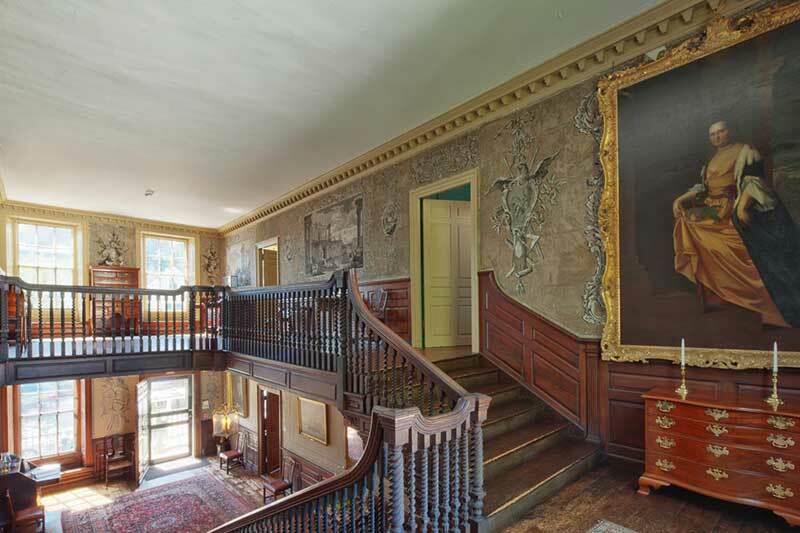 Marvel at the grand homes of North Shore’s most prosperous 19th-century merchants such as Marblehead’s Jeremiah Lee and Gloucester’s Captain Elias Davis. Stroll the main streets of revitalized industrial towns like Amesbury and Newburyport, now home to vibrant arts communities, charming local shops, and delicious restaurants. 2007 marked the 250th anniversary of famed Salem woodcarver and architect Samuel McIntire’s birth in Massachusetts in 1757. McIntire contributed substantially to the development of the Federal Style of architecture after the American Revolution, and to the Colonial Revival style that emerged after the U.S. Centennial in 1876. There may be no better time to tour the North of Boston region and appreciate American architecture in some of the communities where it first developed. Boston’s North Shore was first settled by English colonists in the early 1620s, after the Mayflower Pilgrims disembarked at Plymouth in 1620. The Cape Ann colony, where Gloucester and Rockport are situated now, was settled in 1623, and later re-organized at Salem, then called Naumkeag, to the south and west in 1626. Although the first dwellings erected by the English in New England were often rude temporary shelters, such as English wigwams, dugouts, and tents, by and shortly after mid-century, the English had popularized a type of dwelling that American architectural historians call the Post-Mediaeval, or Multi-Gabled First Period house. The Multi-Gabled First Period houses in the Massachusetts Bay Colony were typically built of heavy timber frame, and furnished with a large and fancy central brick chimney, a steep pitched roof, wood shingles on the roof, and split wood clapboards or weatherboards on the walls. Often they also had multiple large triangular dormers at attic level, framed overhangs with pendant drops, projecting entry porch pavilions, and casement windows with small diamond panes, held together with lead cames. The Whipple House in Ipswich is an excellent example of a substantial English multi-gabled house of the so-called First Period (ca. 1630-1730). A house of similar age and style, but expressed in brick as well as timber (rare for the period) is the Spencer-Pierce-Little Farm in Newbury. Between about 1730 and 1780, a much more formal style of architecture, now called the Georgian or English Georgian style, became popular in New England. Pattern books and theories that originated in France and Italy at this time inspired Renaissance design ideals in England. These ideals inspired Georgian architecture, which was designed to introduce a new urban sophistication to the American continent. Whereas the First Period and Post Medieval buildings were generally of wood and often asymmetrical in composition, the new Georgian houses were rigidly symmetrical, ordered by openings arranged in a grid, often built of brick or stone (or made to look like brick and stone), and often covered with a complex two-sloped gambrel, or pyramidal hip roof. Wealthy merchants took pride in having new houses built in the new style, and the brick Derby House on Salem’s waterfront is a fine example of Georgian style. In nearby Marblehead, the Jeremiah Lee Mansion, built in wood but with a rusticated front to look as though constructed in masonry, is another resplendent North Shore example. The McIntire family of Salem appears to have first begun working in the architectural and construction business by the 1750s, when the Georgian Style was all the rage. Samuel McIntire’s father, Joseph McIntire, was an active housewright in Salem in the 1750s. He worked for prominent Loyalists, like Salem’s Samuel Curwen. Home of George Peabody, namesake of Peabody, Massachusetts. Now a museum owned by the city. However, after the Colonies earned their Independence in the Revolution, a radically new American architectural style was desired—one that was free from the English associations of the Georgian style. American architects studied, imported, and adopted the work of the Scottish designers Robert and James Adam, yielding the new Adamesque or Federal Style. In Federal Style architecture, gambrel roof forms were evidently never built, and when hip roofs were built, they were often shallow in pitch and designed to be concealed beneath a crown like balustrade. Three superb hip roof Federal style landmarks on Boston’s North Shore include Samuel McIntire’s Gardner-Pingree House at the Peabody Essex Museum and the Phillips Memorial Trust House in Salem, as well as the Caleb Cushing House in Newburyport. Neoclassicism also took sturdy root in the Federal period, as evidenced by McIntire’s splendid Tea House preserved on the grounds of Glen Magna in Danvers. A less studied, and more vernacular expression of a Federal style farmhouse can be seen in the George Peabody House in Peabody. The Federal Style remained popular until the 1830s, but between about 1830 and 1880 more exotic and picturesque newer styles started to take over, including Greek Revival, Gothic Revival, Italianate, Norman, French Second Empire, Egyptian Revival, Stick Style, Shingle Style, and Queen Anne. Beauport in Gloucester is a fine example of Victorian eclecticism and the desire for the picturesque in late 19th century architecture. It integrates features from the Gothic Revival, Queen Anne, and Shingle Styles. By the nation’s Centennial in 1876, and especially around 1880 to 1940, America’s patriotic enthusiasm led to the development of newer styles based on Early American prototypes of the Colonial, Federal, and early Greek Revival periods and styles. A new Colonial Revival swept the country, laying the groundwork for modern appreciation of Early American architecture—and the historic preservation movement. During the Colonial Revival period, McIntire’s birthplace of Salem, Massachusetts, hosted a new summer school for architects enrolled in the Massachusetts Institute of Technology. Students frequently visited the North Shore and to Salem to appreciate the older colonial styles—and to inform new designs. One must look closely to distinguish the Colonial Revival elements (including replica Federal style fences) at such places as the Phillips Memorial Trust House in Salem and at Glen Magna in Danvers. But the modern complementary additions are proof of the degree to which McIntire and his works continued to inspire architects well into the early 20th century. John V. Goff is a restoration and preservation architect, and architectural historian, who lives and works in Salem, Massachusetts. The principal of Historic Preservation & Design, a design and consulting firm, Mr. Goff is also President of Salem Preservation, Inc. (SPI). SPI is working with the City of Salem to restore Salem 1630: Pioneer Village, America’s oldest living history museum. North of Boston is grateful to Mr. Goff for giving us permission to use his essay.